Boredom arrives when the Author fails to provide a greater context for the conflict within a story. BFG—or Big Friendly Giant—invokes awe with stunning animation and boredom with lackluster storytelling. This fractured fairytale manages to craft together a narrative devoid of an Overall Story Throughline—a feat unheard of in most, if not all, Western cinema. The only other work that comes close is the original Twilight novel; the movie adaptation thankfully added this key perspective knowing that the only way to keep the Audience in their seats was to provide an objective reason for them being there. Complete narratives consist of Four Throughlines—each granting a different point-of-view on conflict. The Overall Story Throughline offers the third-person dispassionate They perspective. This is where the Author communicates why they’re in conflict, what they hope to accomplish, and the shared thematic issues they all face. Without this view, a story leaves an Audience guessing as to the whole purpose for the work in the first place. We all instinctively know what it’s like not to hold an objective view of ourselves—we experience that unknowing of greater reason day in and day out.1 Why suffer through that pointlessness in a movie? We see from within or without, we cannot do both—except in a story. If we see from within we know my problems, your problems, and our problems; but can’t see their problems when we ourselves are a part of it. Conversely, we know their problems, your problems, and our problems, but can’t simultaneously jump into their shoes to experience I. We love stories, and return to then over and over again, because they grant us the experience of seeing it all all at once. E.T. the Extra Terrestrial, the other movie by Melissa Matheson and Steven Spielberg, expertly crafted an Overall Story Throughline in with an additional Main Character, Influence Character, and Relationship Story Throughlines. Eliot’s fear of abandonment complimented E.T.’s very real abandonment, and together the two developed a relationship capable of letting go—a key factor in resolving the bigger Overall Story picture of phoning, and eventually going, home. BFG introduces a potential Main Character, and a potential Influence Character, and potentially could develop a Relationship Story—unfortunately the absence of a thematic thread holding them all together keeps the film from telling a great story. That boredom you sense twenty minutes in and the fidgeting you try to corral in your own children exists as a result of this missing Throughline. 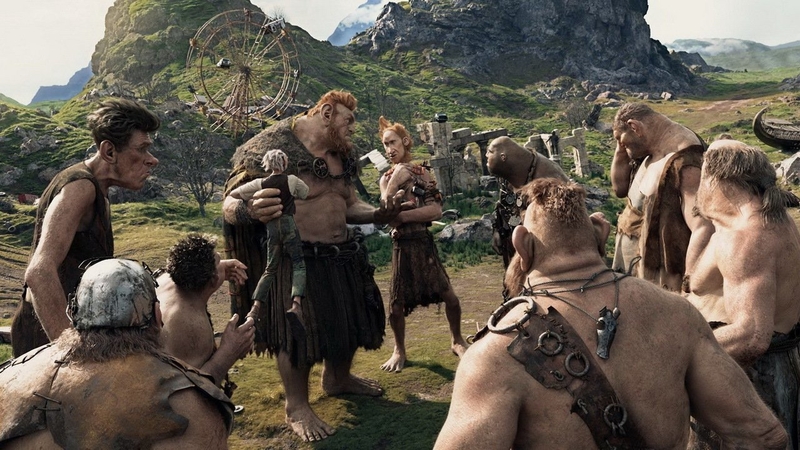 In short, BFG functions as a great demo reel for stunning character animation. You will want to look elsewhere for a great story.